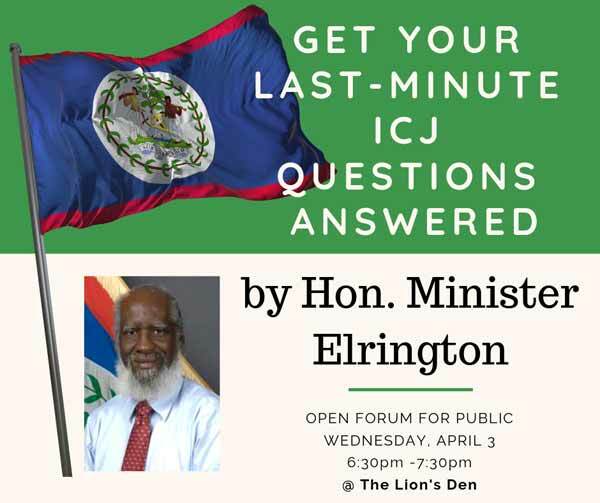 Get your last-minute ICJ questions answered. by Hon. Minister Elrington. Wednesday, April 3 at the Lions Den.